Fun, safe Halloween activities for kids and kids-at-heart! Keep collecting goodies at IncluiF Fitness Funky Feet Trunk or Treat — in the Bank of America parking lot, behind the market. Go trick-or-treating car-to-car among community members. Plus, lots of additional activities! WellSource — FREE chair massages! Andy Liechty is a multi-instrumentalist singer/songwriter who stays true to his roots honoring his heroes in every performance. He draws from a wide variety of influences ranging from Hank Williams to Waylon Jennings to Elvis Presley to Pearl Jam to Neil Young. New vendor: Delia’s Garden handmade artistic soap, old fashion lye, moisturizing and lathers excellently! Fitzgerald’s Stick a Fork in It BBQ will return with Brunswick stew, Brussel sprout hash, and spicey kale. Over the next few weeks, we will be shifting to a smaller autumn set up for the market. If you don’t find your favorite vendor in their usual spot, stop by the TFM booth to ask where they’ve moved. 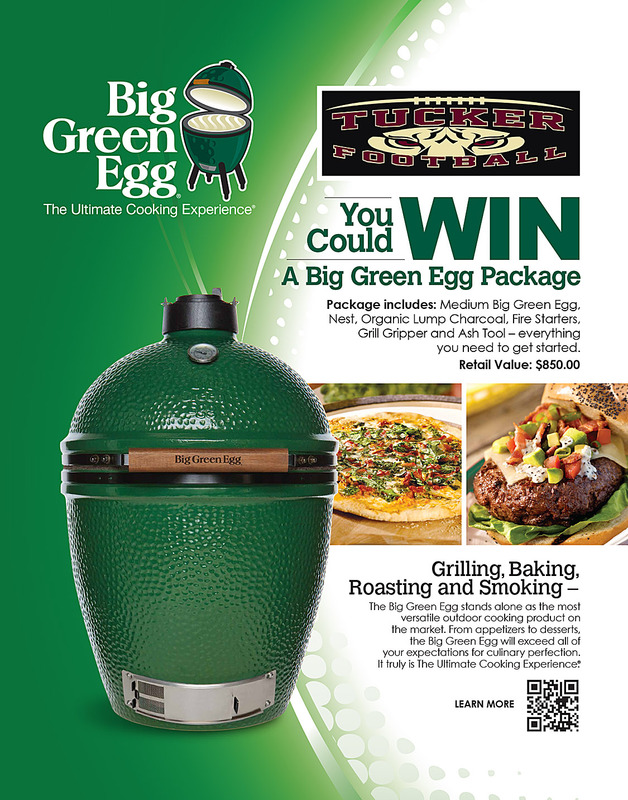 Selling raffle tickets for a Big Green Egg.